Situated in Central Europe, Hungary is a dreamy tapestry of fairytale landscapes, architectural masterpieces, charming folk culture and steaming thermal oases. Hungary is home to over 9 million people and the largest thermal water cave system in the world. Attractions include the thermal lake of Hévíz, Buda Castle and Parliament in Budapest and the old town of Sopron. Get ready to be lured into a world of fairytale landscapes and European romanticism with cheap flights to Hungary. Budapest is home to Budapest Ferenc Liszt International Airport (BUD), which is 30-minute drive from the city. Budapest Ferenc Liszt International Airport serves a multitude of airlines, including KLM, British Airways and Emirates. Popular connecting flights to Budapest depart from Johannesburg and Cape Town. The flight duration from Johannesburg to Budapest is approximately 13 hours and 20 minutes. With a history of wine making dating back to Roman times and hundreds of beautiful wine varietals, Hungary is a utopia for wine lovers. Be sure to try the Tokaji aszú. Wander along the Art Nouveau avenues of Budapest, explore ancient Romanesque castles in Székesfehérvár, or stroll through old cobbled backstreets in Szentendre. Hungary is celebrated for its healing waters. Be sure to visit Hévíz, the largest thermal lake in the world, and luxuriate in the steaming waters of Harkány, Sárvár and Széchenyi. Hungary experiences a typical continental climate, with warm to hot summers and cold winters. The country experiences average rainfall throughout the year. The best time to visit Hungary is in spring (April to June) and autumn (September to November). These months offer pleasant temperatures, fewer crowds and picturesque landscapes infused with dazzling colours. The spring months bristle with exciting music festivals and cultural events, and the autumn months are ablaze with festivals celebrating the szüret (grape harvest). Winter (December to February) in Hungary is a magical time as Christmas markets abound with festive cheer and the sweet scent of gingerbread and pálinka (fruit brandy). For cheap flights to Hungary, the best time to visit is from November to March. Hungary beckons you to experience the exotic side of Europe. Budapest is the capital city and exotic heart of Hungary. 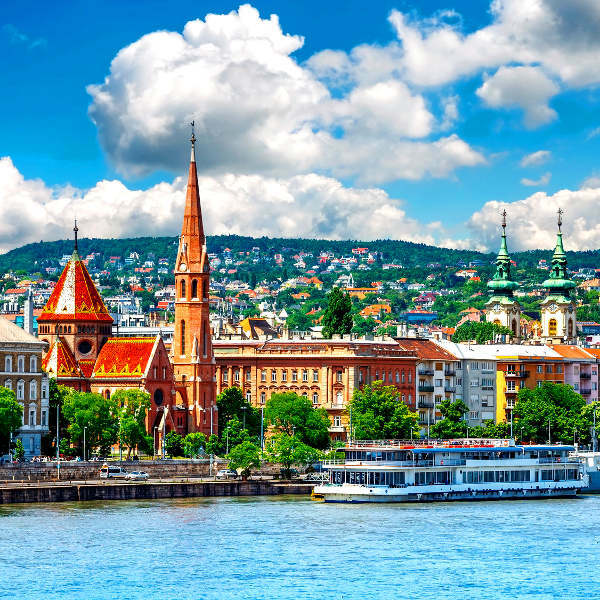 The city unfurls along the Danube River, the second largest river in Europe, offering fascinating architectural juxtapositions and scintillating magnetism. Try traditional goulash and lose yourself in the electric energy of a romkocsmas (a hybrid bar, café, beer garden and nightclub that is uniquely Hungarian) or wander through the trembling streets in search of Art Nouveau palaces, Baroque bath houses and Gothic cathedrals. Hungary is also famous for its steaming bath houses and thermal lakes. 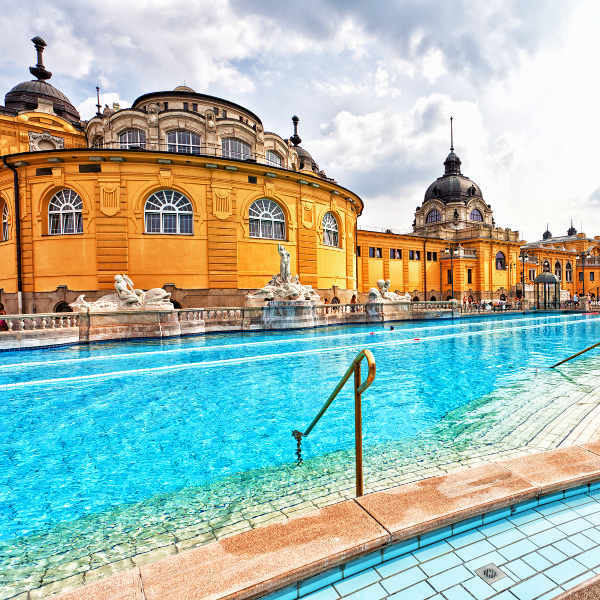 The Király Baths and Rudas Baths are draped in exotic Turkish decadence, while the Széchenyi Baths are an elaborate Baroque sprawl and famous for its open-air bath parties. Lake Hévíz, situated on the western edge of Lake Balaton, is the largest thermal lake in the world. 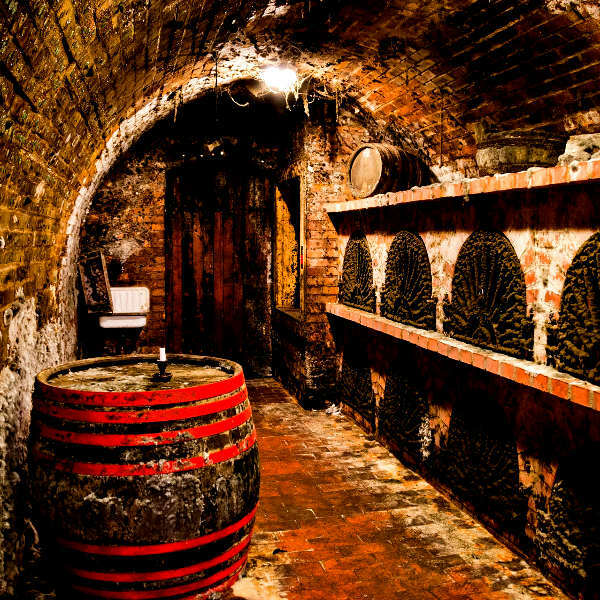 Head to Eger, Tokaj, Villány and Somló for wine tastings in ambient cellars, revel in Szeged's lively cultural scene, or wander along the old streets of Sopron. Compare several airlines and book your cheap flights to Hungary online at Travelstart! South African passport holders require a Schengen Visa to visit Hungary. Passports may not be older than 10 years, must have 2 blank pages and be valid for at least 3 months beyond your date of departure from the Schengen state. The Embassy of Hungary is located in Pretoria. Hungary is considered a safe country. However, you should still remain vigilant and use common sense as you would in any other unfamiliar country. Comprehensive travel insurance to cover theft and medical expenses is recommended. Avoid carrying large sums of cash and valuables, as pick-pocketing is common. Only make use of licensed and reputable taxi services. Taxi drivers and waiters have been known to take advantage of unsuspecting tourists, so be sure to check fares, menu prices and bills carefully. Proof of yellow fever vaccination is required if you are travelling from an infected area. Tick-borne encephalitis, Lyme disease and malaria are present in forests and lakes, so precautions should be taken to avoid infection. Immunisation against hepatitis A & B and rabies is recommended. Routine vaccinations include MMR, diphtheria-tetanus-pertussis, varicella, polio and influenza.